If you live in the U.S. and have your mind set on buying one of the new Moto G6 or Moto E5 phones, you might want to know in advance which stateside carriers and retailers will be offering these devices. The Moto G6, Moto G6 Play and Moto G6 Plus all were unveiled last month and are available starting today in some countries like Brazil. The Moto E5, Moto E5 Play and Moto E5 Plus were also introduced last month, on the same day that the G6 line was announced. The Moto G6 will be available for postpaid accounts in the U.S. at Verizon. Besides the nation's largest carrier, pre-paid providers like TracFone, Ting, and Republic Wireless will offer the model. The device will also be found universally unlocked at retailers like Best Buy, Walmart, Target, Fry’s, and New York City's own B&H Photo. The MSRP is $249. 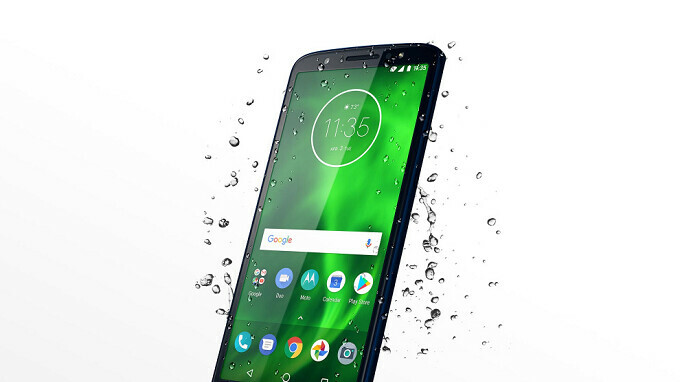 The Moto E5 Plus will be available to Sprint's postpaid customers, and subscribers of pre-paid carriers like Boost Mobile and Cricket Wireless (where it will be known as the Moto E5 Supra). U.S. pricing has yet to be determined, but in Europe the phone costs €169. The Moto E5 Play will also be offered to Sprint's postpaid subscribers. Pre-paid carriers offering the device will include Boost Mobile, Cricket Wireless (where it will carry the Moto E5 Cruise name), Verizon Wireless and Virgin Mobile. The phone will also be found at Xfinity Mobile. The Moto G6 and E5 lines have some interesting specs for such low priced phones. The G6 models all feature the modern look with an aspect ratio of 18:9. The Moto E5 Plus also carries an aspect ratio of 18:9 for its 6-inch HD display, but its claim to fame is the 5000mAh battery that keeps the lights on. For those who don't want to spend a fortune on a new phone, one of these models should fit the bill. Sony and HTC, take note. That's how you do it. What about the g6 plus in the U.S.
G6 Plus won't come to USA officially as that place was taken by Moto X4 (Motorola itself had said it on the launch) . G6 Plus was meant to the markets of Motorola that doesn't sell/serve Moto X4 as their products , as X4 and G6 Plus has quite alot of similarities .